If you live in British Columbia and you’re trying to adopt a Persian kitten or cat, your best choice is to go to a Persian cat breeder. These are people who specialize in the breed and really understand their personality traits and how to care for them. Finding a Persian cat breeder in British Columbia can be difficult, but we’ve done all of the hard work for you. We’ve spent hours researching to find all of the different Persian cat breeders in British Columbia and you can find our full list below. 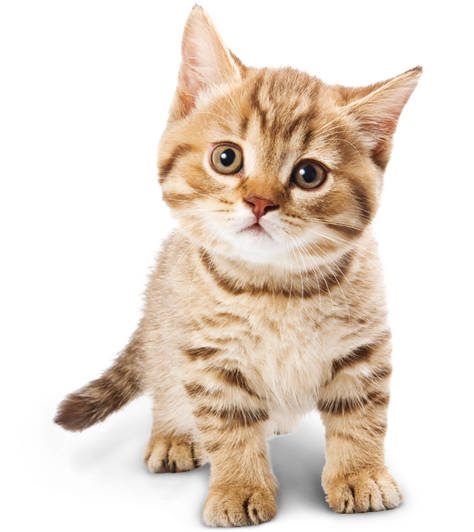 How They Describe Themselves: Our kittens are raised in a home environment and are happy, healthy and well socialized. We have a reputation for producing kittens with exceptional health and personalities. Our hobby is attending cat shows to showcase our beautiful cats and kittens. Our cattery has been vet checked and certified as a cattery of excellence and also received an approval report from the BCSPCA indicating that it conforms with all their requirements. All our cats are DNA tested negative for PKD. How They Describe Themselves: It is our goal to continue to breed Quality, Loving Healthy cats. We started showing in 2003 and have been regular exhibitors ever since. We focus on quality not quantity and have very few litters each year.Preferring to place available kittens in loving pet homes or with trusted friends. We're a closed cattery. We do not offer stud service. How They Describe Themselves: Although I have been showing and breeding cats for only 13 years, cats have always been a part of my life. Even though I enjoy breeding and showing I always follow the golden rule that cats are pets first and their health and well-being come before breeding and showing. As I only keep a small number of cats they are not caged and have free reign of the house. All pet kittens are sold with a strict spay/neuter contract. How They Describe Themselves: We are breeders of top quality, pet and show Persian and Exotic Cats. Our cats are bred not just for their top quality looks, but also for their health and sweet personalities. How They Describe Themselves: All of our cats are members of the family. Established in 2012 we are PKD negative and registered. Cats have been a passion of mine since early childhood. My first persian was the rescue of a black and white tuxedo kitten found abandon in a local park at the age of 2. I have been fortunate enough to have had raised many shelter kittens throughout my lifetime and embarked on my journey with purebreds in 1981. How They Describe Themselves: It was the mist upon the mountains that surround my home that inspired the choice of my cattery name... "Mysti" for the mountains and "Mitts" for those wonderful paws that Persians have :-). It is here that my cats are all raised underfoot. Because the health of the kittens I produce is very important to me I use only PKD (Polycystic Kidney Disease) certified negative cats in my breeding program. All my kittens are sold with a 100% replacement guarantee. Not finding what you want with the Persian cat breeders in British Columbia? Sometimes this happens as most small catteries only have one or two litters per year. If you’re looking to adopt a Persian kitten or adopt a Persian cat, you have two choices. What is the ACFA Association? The ACFA is dedicated to the principals of fairness, friendliness and ethical conduct as we: advance feline health and welfare; preserve and register recognized breeds and household pets; provide insightful guidance in the development of new breeds: engage in public education initiatives; and interact with the public at cat shows and other ACFA sanctioned events. We unselfishly support our members in an environment of openness, friendliness, mutual support and respect. We insure fiscal responsibility and growth for future generations of members, are progressive in our growth and resourceful in meeting the challenges of our future to ensure the legacy of our cats.